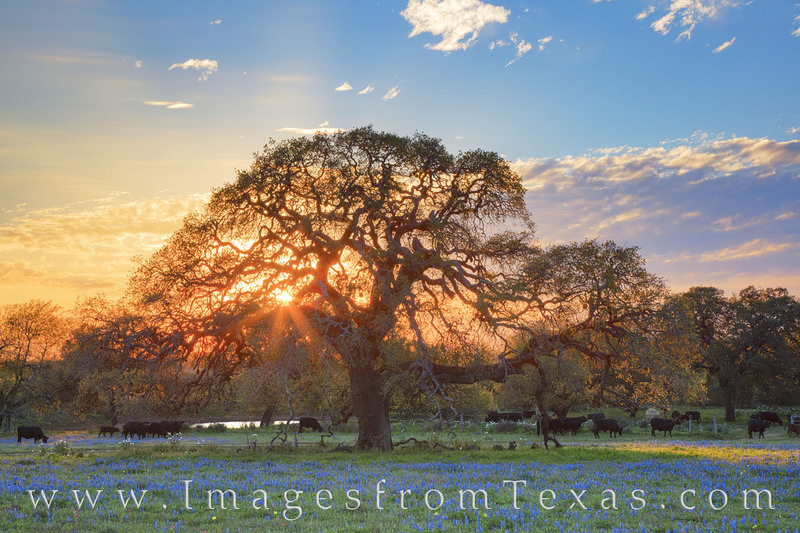 In this pastoral scene, the sun is setting low on the horizon as the last rays of light shine through an old oak tree. In the foreground, bluebonnets add color to the landscape and cattle graze contentedly as another beautiful spring day comes to an end. Photo © copyright by Rob Greebon.